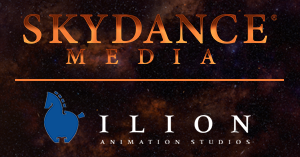 Skydance, a diversified media company that creates event-level entertainment for global audiences, today announced that it has launched an animation division and formed a multi-year partnership with Ilion Animation Studios, a dedicated CGI feature animation studio based in Madrid, to develop and produce a slate of high-end animated feature films and television series. The slate will commence with two animated feature films currently in development, to be produced in Spain. The first, which will be released in 2019, is being written by Linda Woolverton (Alice in Wonderland, Maleficent, Beauty and the Beast, The Lion King). It tells the story of Elian, a teenager who comes of age using her magical powers to defend her family when the opposing forces of light and darkness threaten to divide her kingdom. Woolverton will serve as a producer on the film alongside David Ellison, Dana Goldberg, and Ilion’s Ignacio Pérez Dolset and Jose F San Román. The second animated feature film, Luck (working title), is a comedy that pulls back the curtain on the millennia-old battle between the organizations of good luck and bad luck that secretly affects our daily lives. Jonathan Aibel & Glenn Berger (The Kung Fu Panda trilogy, Trolls) are writing the script and will serve as producers on the film, alongside David Ellison, Dana Goldberg, and Ilion’s Ignacio Pérez Dolset and Jose F San Román. “In animation the possibilities to create imaginative new worlds are limitless and we are thrilled to expand the Skydance family to include Ilion and some of the most talented artists working in animated film today,” added Skydance Chief Creative Officer Dana Goldberg, who will oversee the slate.